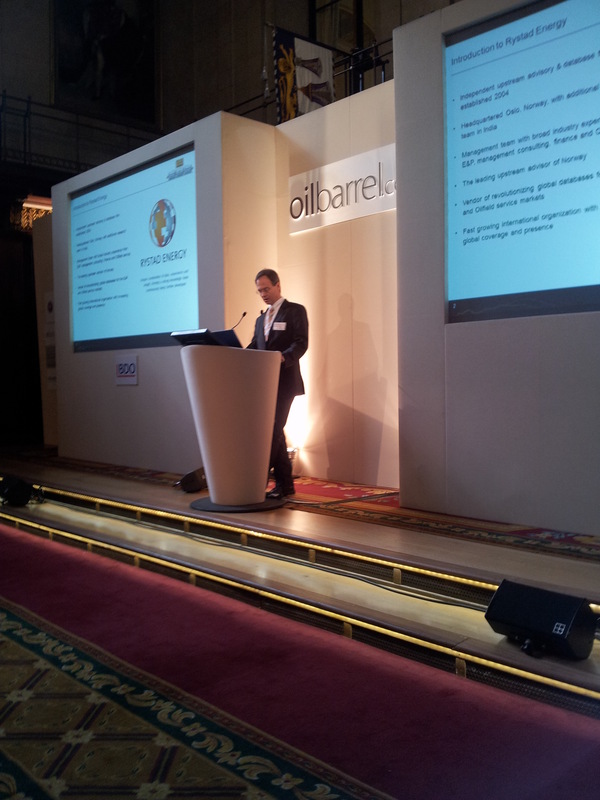 Per Magnus Nysveen, Senior Partner, presented Rystad Energy UCube data on the North Sea at the 50th Oilbarrel Conference in London today (16 February 2012). In front of a crowd of 250 guests - mainly E&P companies, investors and UK media, Nysveen provided insight into current supply and demand patterns as well forecasting on future production. Nysveen also acknowledged differences and growth potential of Norwegian assets and assets in UK. A video of Nysveen's presentation can be found on Oilbarrel's website. Presentation slides are additional available here. To get more insight or for potential project work, please contact Julia Weiss, Marketing Manager.